The Science, Mathematics and Technology Department seeks part-time faculty available during the day to instruct mathematics and statistics courses in the Fall 2018 semester. Evidence of successful college-level teaching and minimum of a Master’s degree in the appropriate discipline are required for consideration. 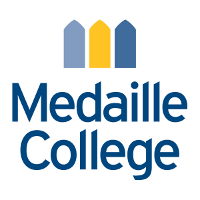 Questions regarding the positions can be directed to Dr. Vochita Mihai, Department Chair, Science, Mathematics and Technology (vmihai@medaille.edu). Cover letter, resume, and a list of three references should be electronically submitted to Barbara Bilotta, Director of Human Resources, Medaille College. Please refer to www.medaille.edu/jobs to apply. Review of applications will continue until position is filled. No phone calls please.